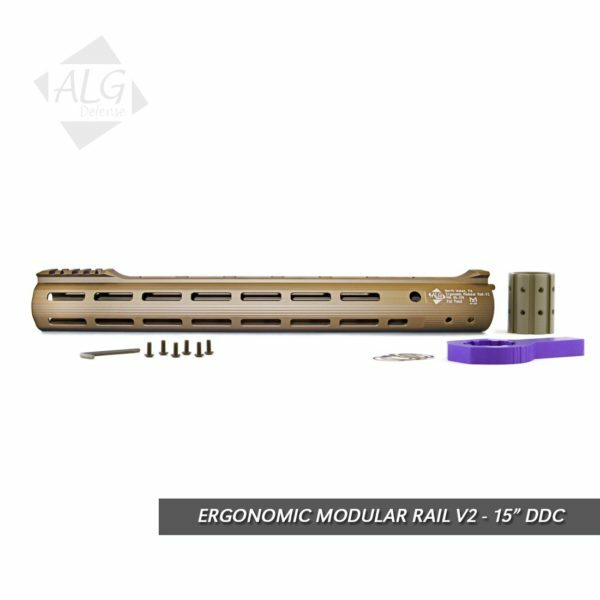 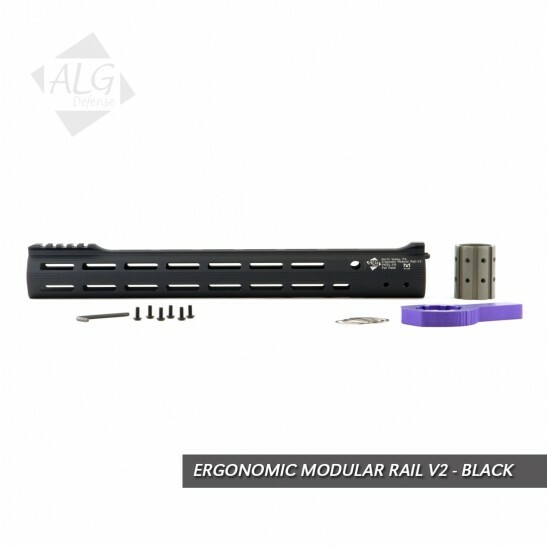 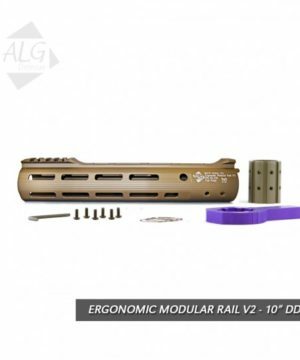 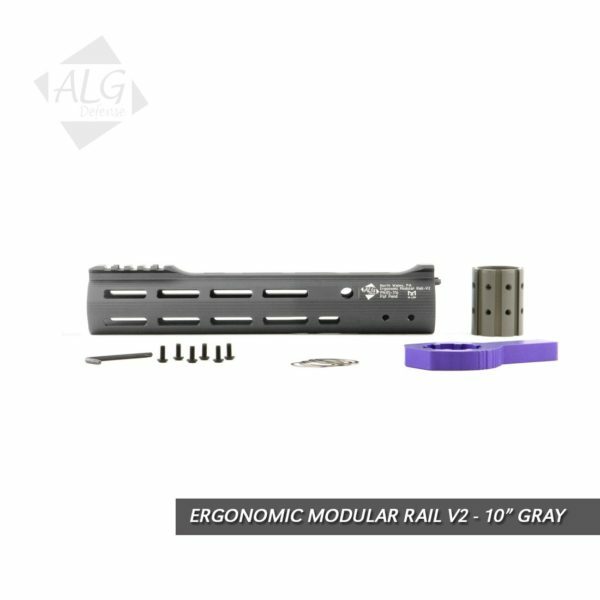 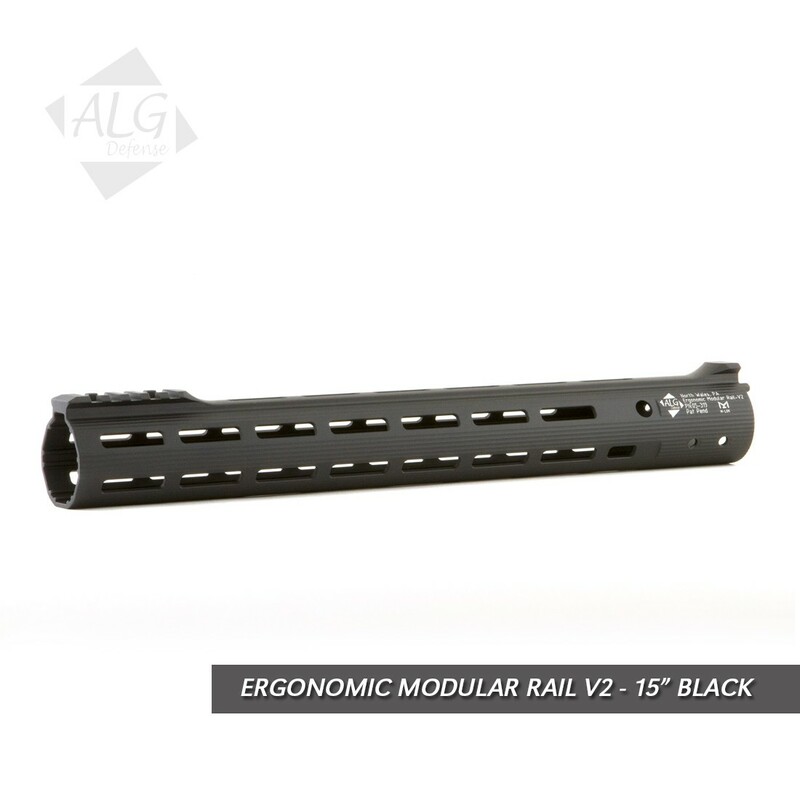 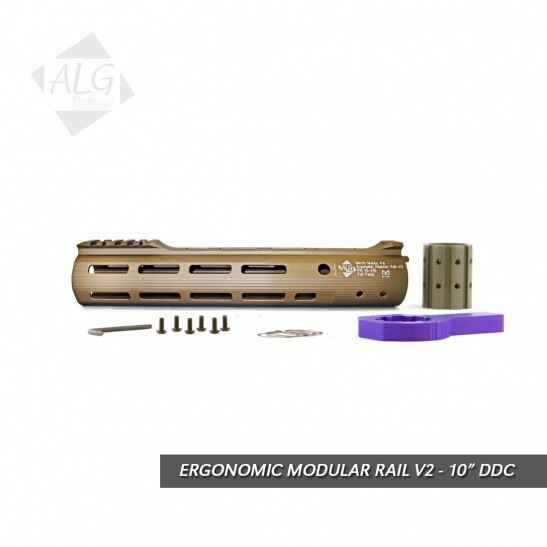 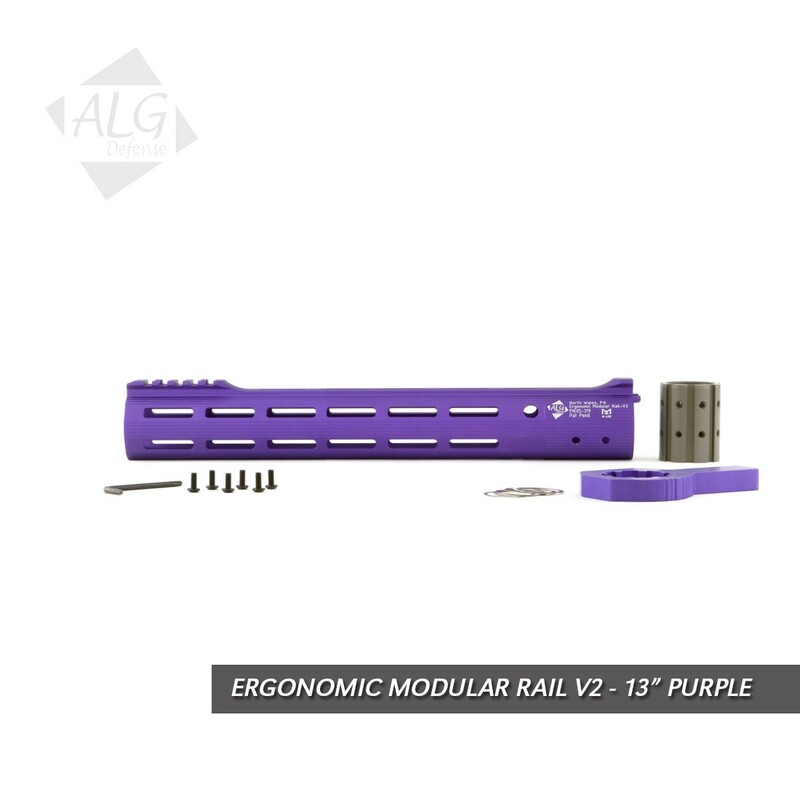 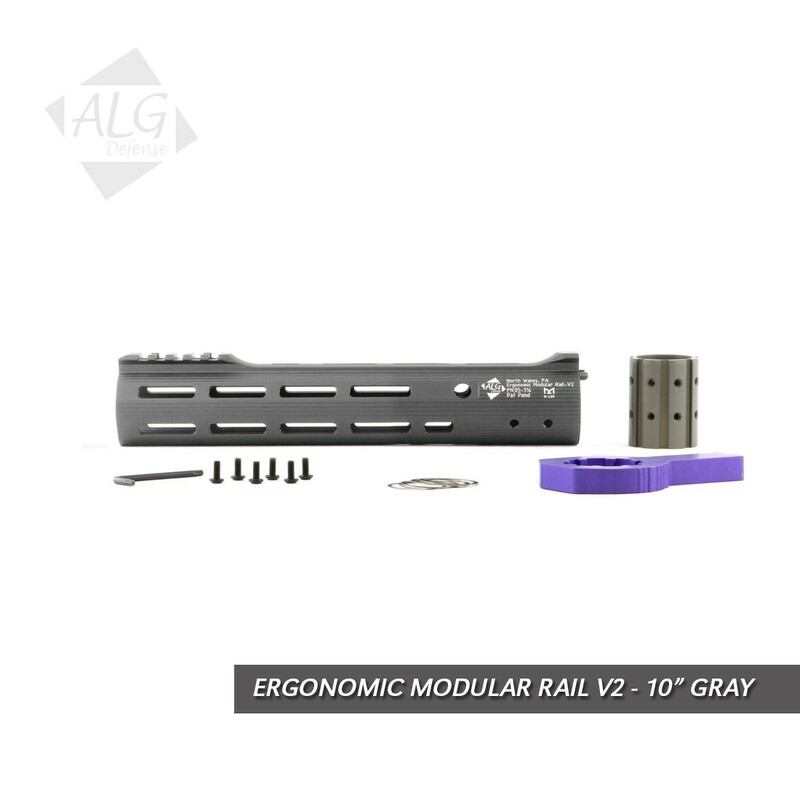 The ALG Defense Ergonomic Modular Rail V2 with Magpul M-LOK support, allows the user to mount an array of third party accessories and customize their weapon platform to suit their needs. 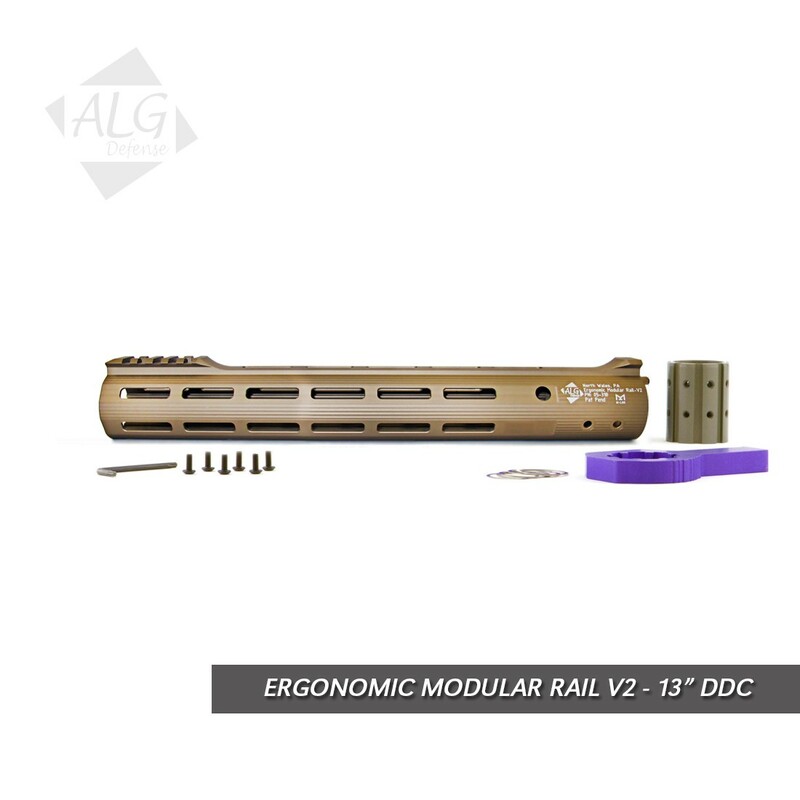 The ALG Defense Ergonomic Modular Rail V2 with Magpul M-LOK support, allows the user to mount an array of third party accessories and customize their weapon platform to suit their needs. 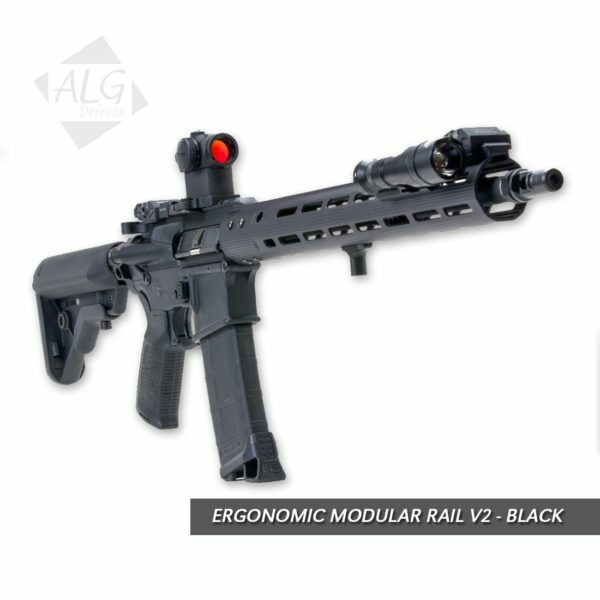 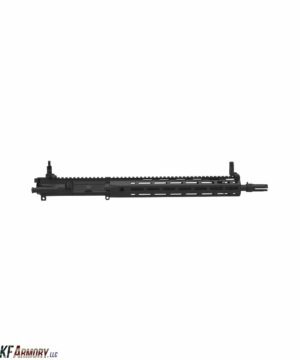 M-LOK accessories can be attached along the length of the rail at 2, 4, 6, 8 and 10 o’clock positions. The EMR V2 M-LOK also features two integrated anti-rotational quick disconnect slots at the base of the rail at the 2 and 10 o’clock positions. 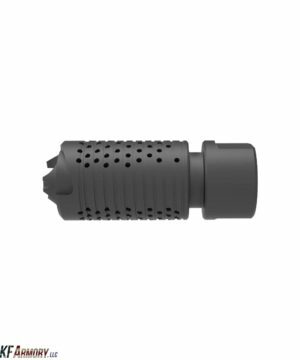 The primary difference between the EMR V2 and V1 is that the V2 has a machined M1913 picatinny rail section at the muzzle end of the rail at the 12’ o’clock position. 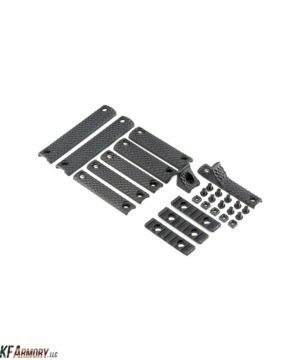 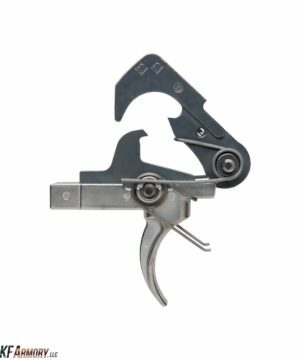 The machined M1913 section is ideal for attaching front sights, lasers, IR illuminators, lights and any other optic or sling related M1913 compatible accessory.